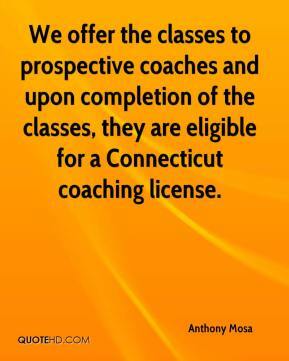 We offer the classes to prospective coaches and upon completion of the classes, they are eligible for a Connecticut coaching license. If there?s a sexual harassment complaint by anyone in the school, there?s a legal process that must take place by state law. Those cases must be reported to the (Connecticut) state department. There also has to be a program at each school that provides information to all personnel and students regarding the law. 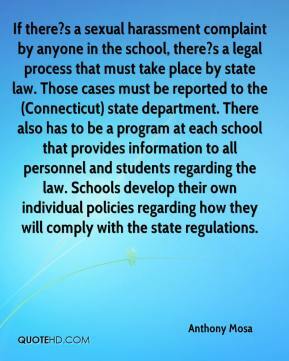 Schools develop their own individual policies regarding how they will comply with the state regulations. Sure, they?re safe. I deal with coaches on a daily basis. The vast majority of them have only the best intentions for kids. Their mission is consistent with our mission, and that is that athletics is a part of the total education of a youngster, and they buy into that concept.